Doing things online is way better and easier than any other method because the huge spread-space of the internet gives you everything you needed. All the function and features of a variety of platforms are inside the packet of tools on different websites. Similarly, Video Editing is something which often done by peoples. It can be for the temporary purpose to share with friends or can be used for professional editing. There are many video editing software you can use, but to avail those editing software you need to install them on your system only then you start editing your videos. But if you are not in your system and using a temporary system and trying to edit a video then it can be time-consuming because you need to find the available editing software according to system configuration. While having the shortage of time then this can be frustrating for you. To avoid that all and start editing your video right away you can use online video editor. Wevideo is one of the awesome and best online video editors. With its advanced video editing features you can do pretty much everything which you can do with an offline video editing software. Even Edit more than that if you haven’t worked on an advanced video editor offline yet. WeVideo allows you to upload the video you wanted to edit as we as record a live video through webcam or record your whole computer screen, all will be integrated with the WeVideo online video editor. All you need to do is install a required plugin which it asks to install and enjoy editing. You can merge videos, add effects, sounds, cut videos and much more. Wevideo is a paid online video editor but you can also take its trial for few days which will give you limited access to editing on videos. Magisto is also a premium video as well as a photo editor. You can edit your videos and photos all in very simple way. The best part about Magisto is that you don’t have to export the video or photos on some storage devices on yourself for every time you need to work on an online video editor. 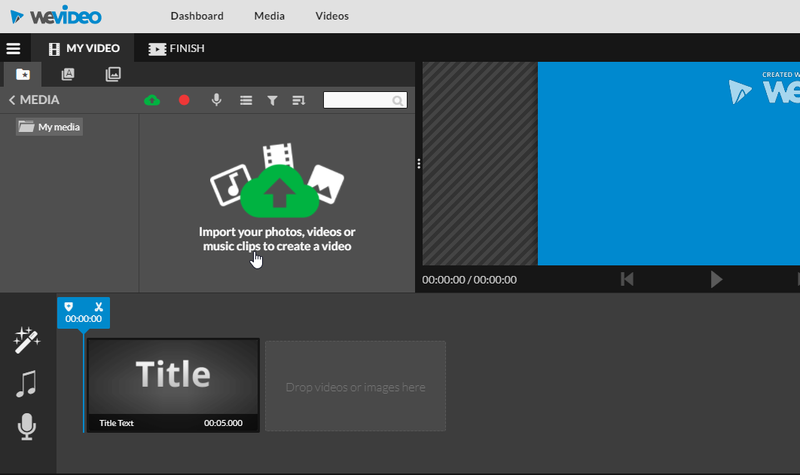 Because you can import the video from google drive on magisto online video editor. You can also upload a video on magisto through your systems storage. It has advanced editing features with professional editing styles. Later after editing you can download those videos in 720p HD quality. You can add your logo or text over the video. It provides you the feature and tools of email marketing, gives you the option for video analytics and has priority customer support. All features you can get by purchasing one of its premium plan or you can take trial as well. Unlike Wevideo or Magisto Kizoa where number of features of their online video editor are separated with each plan and to avail more advanced editing feature you need to buy that different editing plan. But in kizoa there is nothing like that. You can avail all its features with the free version as well. The only restriction is will be the storage space which it gives you. And this can’t bother you until you are editing with Kizoa on a daily basis. Unlike other options to import photos and videos, it gives you the option to import from your Facebook profile directly and edit them right away on Kizoa editor. Kizoa online editor simple, easy and powerful to use. Along with making awesome video editing effects, you can do more with photos as well. You can create collage using its collage makers, add some effect and share or download them. Here it comes a different but must try Tool. Pawton use for making a great animation for work, education or fun purposes. If you about to edit some of your not such good presentation of an idea or tutorials then you should give it a try. It can play free for you. All you need to do is Write Script, Record Voiceover and Add visuals to make it perfect. Start from scratch to give it the finest finishing to show your work to others. Pawtoon works free but it will apply its watermark to your work and if needed to remove it then you can buy its premium plan. Clipchamp is a free online video editor which can do more than just editing. 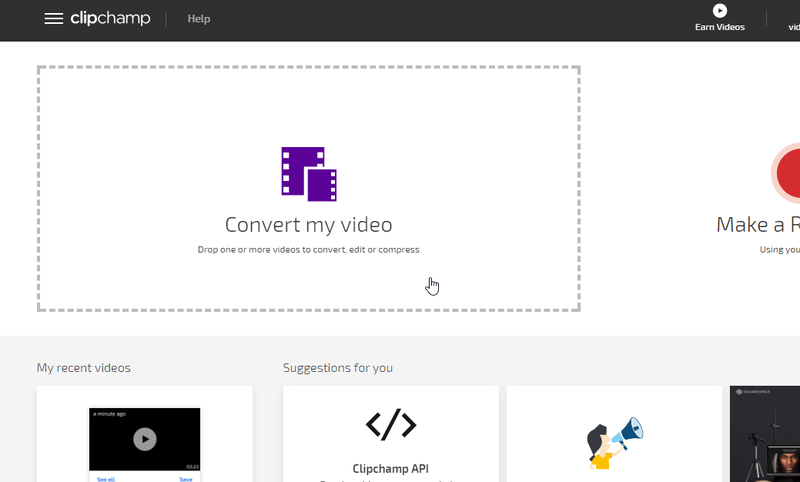 Clipchamp gives you the premium video editing features and tools for free. You can edit pre-recorded video or record a video through your webcam with ClipChamp tools right away. Its editing options include trimming, flipping, rotating, cropping, and adjusting the brightness, color, and saturation of your videos. It also has optimized options for your videos editing. It also has such good sharing options which you can use to finish your video editing, you can share edited videos to YouTube, Google Drive, Facebook, or Vimeo. You can compress them into smaller sizes for easier sharing. All these given online video Editors or Online video editing tools are no less than any offline video editor. Even these online editor works much reliably because they give you such options to import video from the cloud for editing. Also, you don’t have to go through any installation process on your system. Especially when you need to use video editor for temporary purpose then installing them on your system is such a waste of your precious time.